The United Nations (UN) Post-2015 Development Agenda has sharpened the global focus on the need for more comprehensive data on issues related to aging and older people. 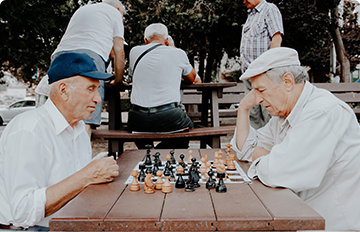 As demographics are shifting toward a large increase in the proportion of the population that is 60+ by 2050, aging is becoming an important factor to include in policies for achieving sustainable societies. To address this new demographic challenge, decision-making bodies are calling for a “transformative agenda for official statistics”(1) that leads to significant improvement in the breadth and depth of statistics on aging at national levels as well as new and alternative data types. New data can supplement official data to support policy and program development and respond to the future needs as outlined in the UN Sustainable Development Goals. This “transformative agenda” is a valuable opportunity to expand the knowledge base on older people and older women in particular. Yet, in producing more data and statistics, it is important that we also transform the way we think about and use this information. Current data paradigms are focused on information about older people in the form of statistics on households, income, health, isolation, and other variables. These data are seen as an important tool for decision makers to understand needs and progress on key development and social indicators. However, if we assume the situation of perfect and complete scientific data, we are still left with many gaps in getting from data to policies and programs that improve these indicators. One of the most important gaps in this respect is knowledge on public opinion. Public opinion has a particular relevance for older women, as it is a significant contributory factor in discriminatory and/or exclusionary practices and policies. In addition, for complex policy issues such as aging, where there are competing interests and demands on resources, public opinion plays a critical role in achieving sustainable policy. One of the most important advances we could therefore make for more effective policy using scientific data is a radical revision of the way we understand and measure public opinion. Currently, survey methods help us understand the frequency and distribution of particular attitudes, but they do not improve our understanding of how people perceive and think about issues. Indeed, the limitations of random-sampled surveys have been acknowledged by research bodies such as the Pew Research Center, which is innovating new types of public opinion knowledge including YouGov’s panel surveys. This innovative drive, together with the transformative agenda for statistics, provides a unique opportunity to extend the data paradigm with new knowledge to support the inclusion and empowerment of older people. With this new knowledge, we could advance from a place where objective data are the primary focus of data collection to a new stage where empirical visibility of the subjective human voice is also prioritized. With subjective knowledge, we could ask: What are the rich and complex ways people perceive their circumstances and those of others? How can we engage these different perspectives to problem solve and co-create innovative policy? How can we learn from data and information on social perspectives shared across regions over time? These questions can be addressed using a methodology that studies subjectivity—Q-method. Q-method was developed in 1953 by physicist and psychologist William Stephenson(2) to study people’s subjectivity or perspective. It is, in his words, a “scientific, objective approach to the investigation of self.”(3) The method demonstrates how a person’s viewpoint can be “observed” by individuals engaging in an activity that draws out how they think about the issue at hand. This activity is the relative ranking of a representative sample of statements (40–60) from a flow of public opinion that has captured all possible opinion types that could be expressed on that issue. To identify the full range of social perspectives on an issue, a diverse set of stakeholders(4) (15–20) rank-order the statements relative to each other in a particular bell-shaped distribution (see figure 2) that is scaled (for example, from -5 to +5). The way each stakeholder ranks the set of statements is known as a “Q-sort.” Once data collection is completed, commonality across the sorts is analyzed using correlation and by-person factor analysis. In other words, the investigator looks for ways participants sorted the statements similarly. From this, it is possible to identify shared perspectives (e.g., where participants ranked the completely diverse range of statements similarly). These patterns are interpreted and validated with participants to define a particular perspective on an issue that is expressed as a narrative. In addition to revealing social perspectives, the method also reveals which statements generate the most consensus or dissensus on the issue studied. In this way the Q-method qualitatively explores subjectivity while using quantitative techniques to find the underlying structure in the opinion data. Through its method and philosophy, it brings out the natural structure of opinion as it exists without prior frames—such as those used in surveys—that limit what can be discovered. Because the method uses opinion statements, it is directly relevant to harnessing the latest opinion shared on social media such as Twitter and Facebook, while complementing these data with multiple other sources. 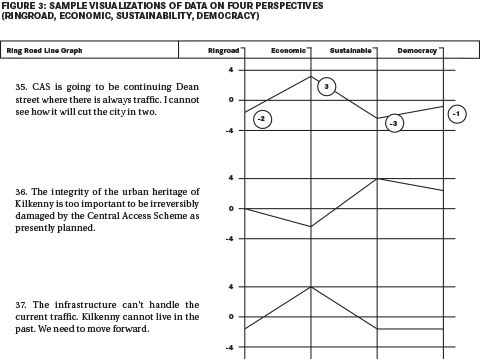 Figure 3 provides a sample of a new type of information that can be derived from this analysis method, using data derived from a study on a controversial road development in Ireland. (5) In this example, we see represented, in a scale from -4 (disagree) to 4 (agree), how participants sharing different perspectives responded to two of the 43 statements on the controversy. In figure 4, we provide a simple bubble graph of how strongly the participants identified with the various perspectives (factor loadings). 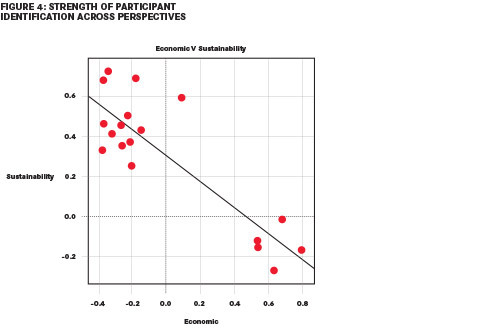 The X-axis represents affinity for the economic perspective and Y represents affinity to the sustainability perspective. One circle represents one stakeholder. Readers now might question the validity of this knowledge with such a small sample size. Yes, the Q-method uses a small sample size that represents the most diversity in opinion statements and stakeholders. It does not claim to represent a population. However, it has been shown that increasing the number of participants in the study beyond that which represents maximum diversity in stakeholders does not change the underlying structure of opinion uncovered. For this reason, the Q-method is a very cost effective and elegant method for identifying the full diversity of social perspectives on an issue. A further innovation of this method is that it reports social perspectives without reference to or concern for the frequency with which these perspectives are held in a larger population. (6) As such, Q-methodology is particularly empowering for minority groups, such as older women who may not always be able to make their voices heard. For this reason, the method is already being used across environmental, education, health, and policy fields to provide transparent mechanisms for inclusive dialogue on social issues. However, despite the potential of this method for social development and policy, there is very little awareness of Q-method among the policy-making community and public in general. A huge opportunity lies in mainstreaming this knowledge-creation process through social, government, and business organizations and by openly sharing the findings via public opinion databanks. Such knowledge on subjective understandings of the world can not only lead to better policy and more inclusive dialogue, but can also enable us to put the human voice, in all its diversity, at the center of policy and development processes in a new way. For older women in particular, the potential of this method to make their perspectives visible, reveal prejudices and myths, as well as promote effective participation in policy development is compelling. The opportunity is now there with the Post-2015 Development Agenda and the transformative agenda on official statistics, to promote the engagement of this new knowledge type and to innovate further. (1) UNESC Forty Sixth Session Report of the Secretary General on a Transformative Agenda for Official Statistics (17 December 2014 ) UN Doc E/CN.3/2015/5. (2) Stephenson, William (1953) The Study of Behavior: Q-Technique and Its Methodology (Chicago: Chicago University Press). (3) Stephenson, William (1952) ‘Old Age Research’. Operant Subjectivity 34, no. 4: 217– 233. (4) An analysis of perspectives on care, for example, could include, in addition to the older people, health professionals, home caregivers, family members, and policy makers, depending on the question being examined. (5) A narrative describing each perspective, together with perspectives’ highest and lowest ranked statements, is available at http://opinion.civiq. eu/news/kilkenny-central-access-scheme-analysis.